This review can also be found here I was so excited to read this book, I have never read anything set in India and I was interested in how the author would weave Indian myths into the story. I believe that the myths used in this story were very interesting and worked very well. I just wish I liked the book more than I did. 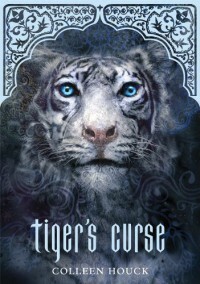 Don't get me wrong I did like it, I just thought that I would love it.The idea that a curse was put on two Indian princes and they have been trapped as tigers for more than 250 years was definitely intriguing and unique. The author pulled this off very well and placing it in modern times just added an element of understanding to the story. It also made it more difficult for the aforementioned princes.Overall, I liked the characters. Ren was funny and sweet. He was completely loyal to Kelsey even when she treated him like crap. He refused to give up and even after living with the curse of being in the form of a tiger, he was one of the nicest people. I liked Kelsey in the beginning, she was cool and I could relate to her. As the story went on however she really started to annoy me. Ren was completely in love with her and she started pushing him away because she thought that once he was returned to his human form he wouldn't want her anymore because she's "plain". 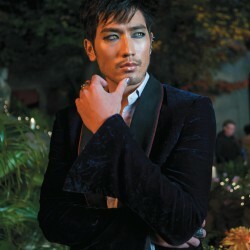 Even when Ren told her that he loved her she tried pushing him away, when that didn't work she got rather nasty with him. This drove me insane because she kept thinking that she loved him as well, she was being selfish and ridiculous.My one major issue with this novel was that it was rather slow. The beginning drags a little bit but as the story progresses, there is a lot more action and the speed picks up. The adventure is compelling and it had me on the edge of my seat. Even though I didn't love this story, I liked it enough that I will be purchasing the second book because I can't wait to find out what happens to Ren and Kelsey later on in their adventures.